Welcome to part two of the list of unique dog breeds. Here are numbers 5 to 1 of rare breeds with particularly interesting skills, qualities, or history. The Cirneco dell’Etna is a Sicilian breed that has been present in Italy for at least 2,500 years. The dogs were traditionally used to hunt together with a ferret. The dog would seek out rabbits, and the ferret would flush them out. The Cirneco dell’Etna is a tough breed, used to work under adverse conditions on rugged terrain formed by volcanic lava. They can withstand the heat for hours without food and water. They are strong and independent, but friendly with people. Like all intelligent breeds they grow bored easily and need something to do. 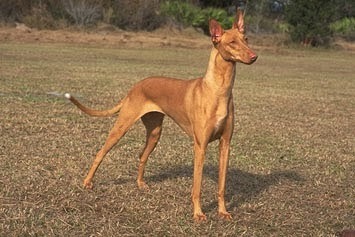 The Egyptian Pharaoh Hound comes from Malta, and the breed is the national dog of the island. These are the only dogs who blush when they are excited; they get a rosy hue on the nose and ears. Some scientists believe the breed is related to Egyptian dogs, reaching back at least to the year 3,000 BC. 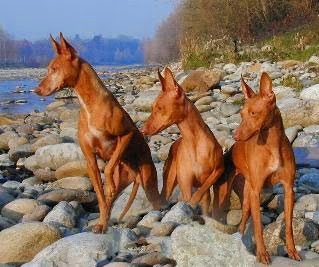 There are many Egyptian artifacts and writings that show a dog very similar to the Pharaoh Hound, and according to this theory the dogs traveled from Egypt to Malta with the Phoenicians. These dogs are fast, powerful, and graceful. They are intelligent and naturally well-behaved, but they like to give chase and they are marvelous jumpers. If they sense something interesting, they can make their way out of the most well fenced yard, and they probably blush when they are discovered. 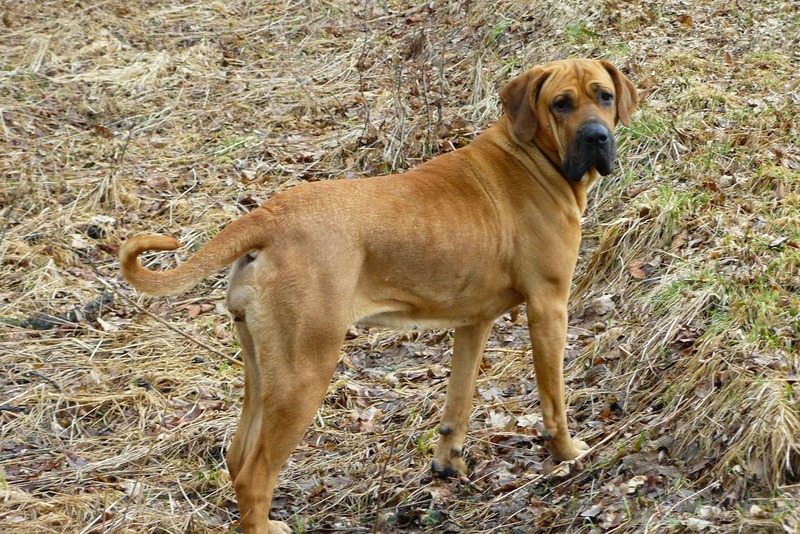 Fila Brasileiro, or the Brasilian Mastiff, is a very large working dog breed from Brazil known for its absolute dislike of strangers. 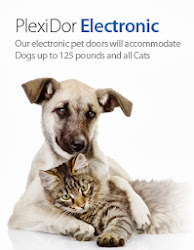 Within the family they are loving and loyal to a fault, patient with children, and will bond with other pets. However, a poorly socialized Fila Brasileiro will be extremely suspicious towards strangers and it is very important that the puppies get to meet many different people in positive situations. With this breed the saying that the owner makes the dog is truer than ever; the right owner will get a wonderful and devoted companion. In the past, these dogs have been used for everything from guarding gold minds to hunting jaguars. The latter is an impressive feat considering that a Jaguar can run 40 miles per hour. Fila Brasileiros are wonderful trackers, hunters, and herders, and the Brazilian army uses them for work in the jungle. They possess a unique strength, intelligence, and resiliance, making them able to work under difficult circumstances. 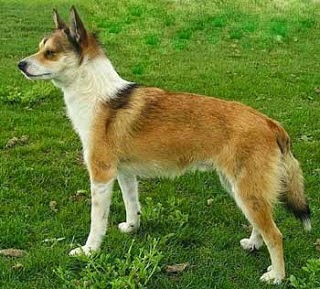 The Norwegian Lundehund has six toes on each foot and a unique ability to tip its head backwards until it touches the back bone. 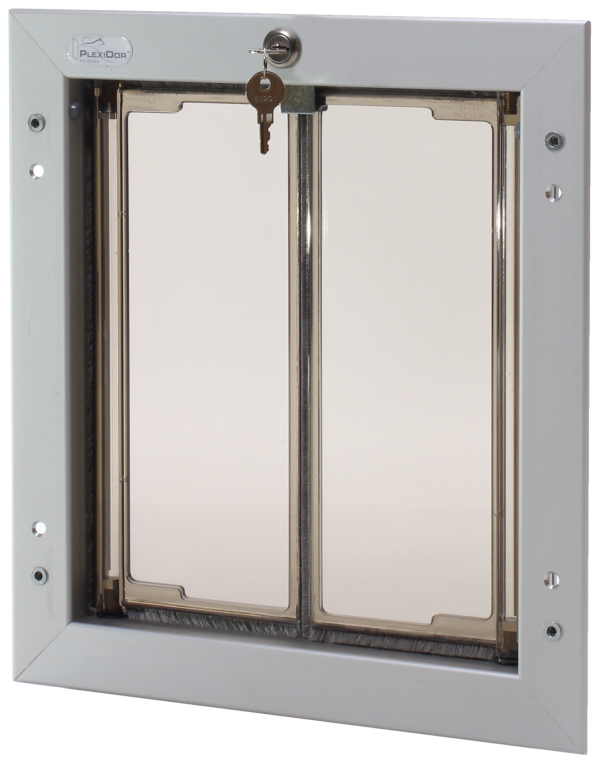 The breed has a great range of motion in all joints, allowing it to fit into narrow passages, and the unique feet makes it a good climber. The breed is at least 600 years old, and was originally used to wrestle and retrieve live Puffin birds from crevices in steep vertical cliffs. The Lundehund was believed extinct after WWII and all dogs alive today stem from five individuals found on a remote island in the Arctic Ocean. These dogs are loyal and playful, easy to live with, and require little grooming. 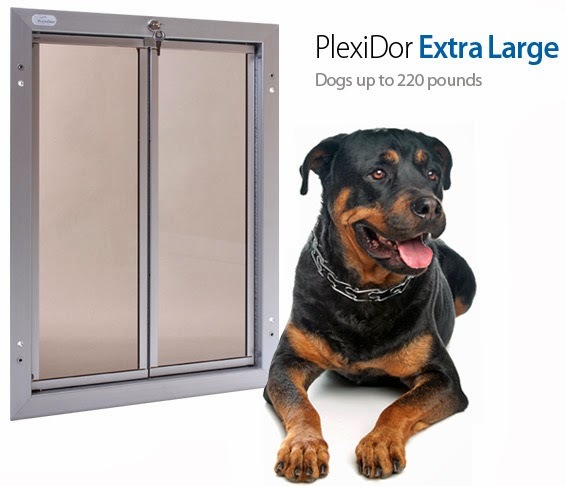 They do have hereditary digestive disorder and it is important to keep an eye on the dog’s weight; many have problems absorbing nutrients from food and can starve even if they are well fed. 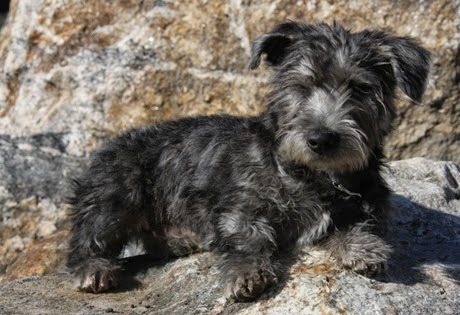 The Glen of Imaal Terrier is a small and tough breed native to Ireland. These hardy dogs stem back to the 16th century when they were bred to keep homes free from vermin. They were also used to hunt foxes and badgers. None of these tasks were the dogs’ most important job, though. They are the only dogs in the world bred to be turnspit dogs. The turnspit is giant rotisserie where the dog paddles a large wheel that in turn rotates a spit over the hearth. Because of this, the Glens have developed strong legs. They would track foxes and badgers, then run for miles on the kitchen’s turnspit, and guard the home during the night. This breed is active, agile, and known to have a mind of their own.